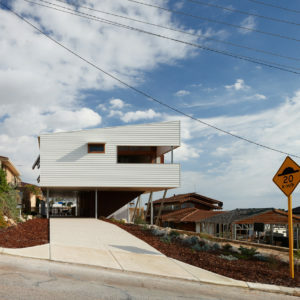 This Perth, Western Australia project creates a critique of it’s developing suburban context, whilst highlighting the typological narrative of the respective background of the clients, and the response to the specifics of the site itself. 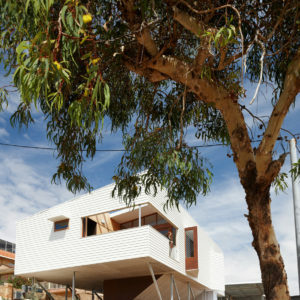 Under rapid transformation from it’s loose costal urban form of lifestyle, this southern suburb of Perth is building up! 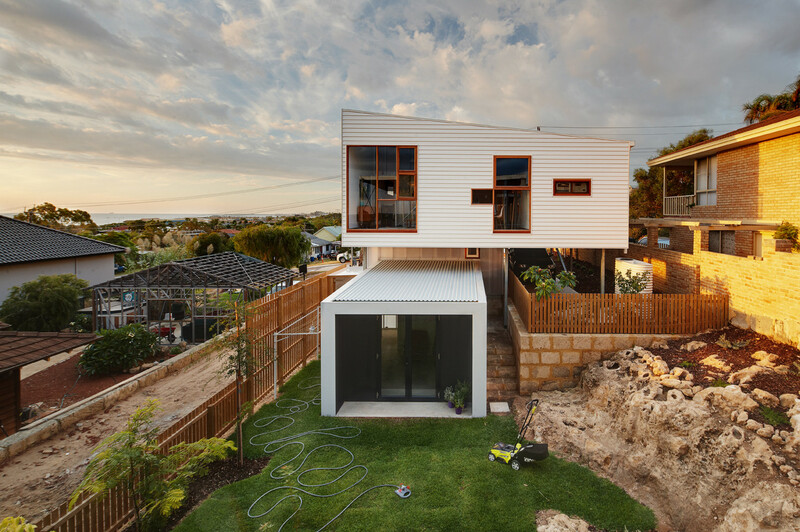 David Barr Architects & Ross Brewin challenge the conventions of new detached housing, raising this home to new heights with above the ground with no front fencing, no front door, no garage, and no brick work. 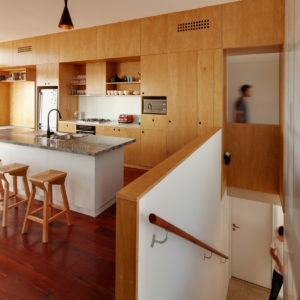 Recently married residents from West Australia and Queensland unify in the design of this home, the western simplicity of a beach shack meets the climatic and utility benefits of a raised Queenslander. 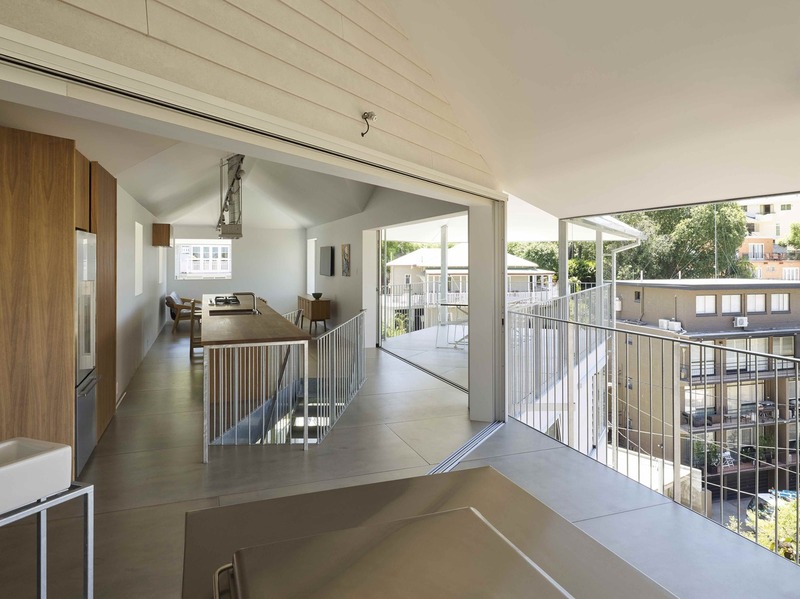 Both humble in their own right the house resists a typical approach of flattening and filling the site, instead carefully allows for the space above to make the most of coastal views, whilst creating a shaded garden terrain below the house. 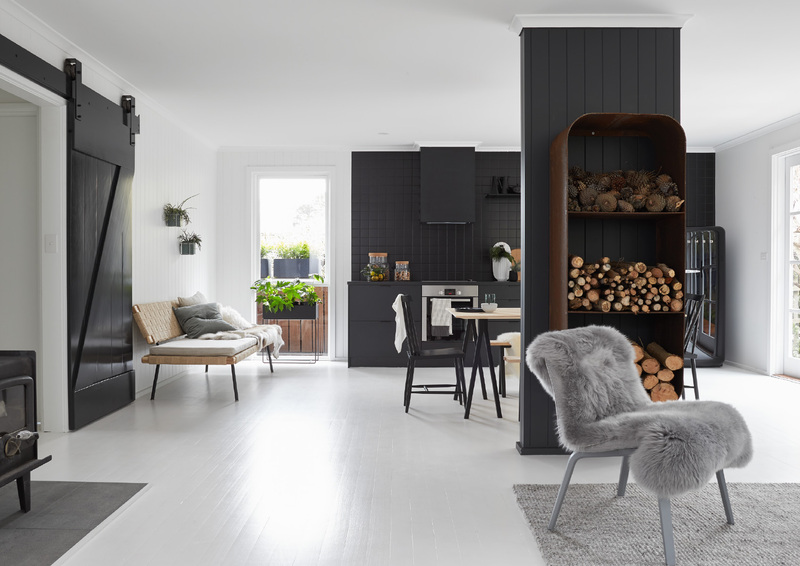 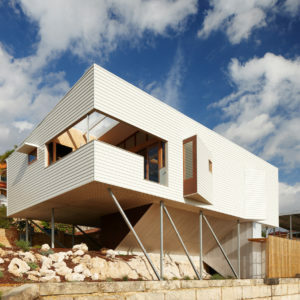 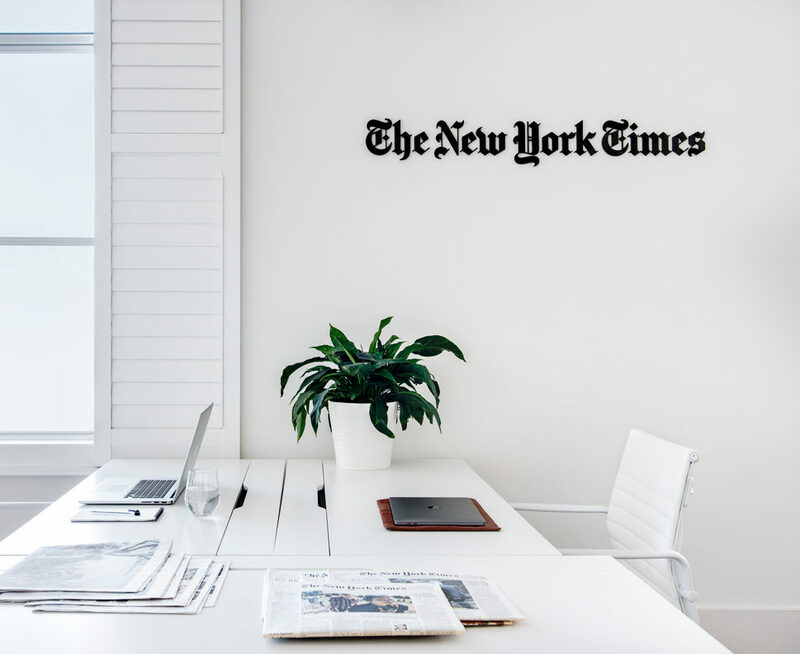 Referencing the nearby beach houses that once defined the area, what looks like a simple weatherboard shack is more a dynamic contrast to both beach home and real living houses of its surrounds. 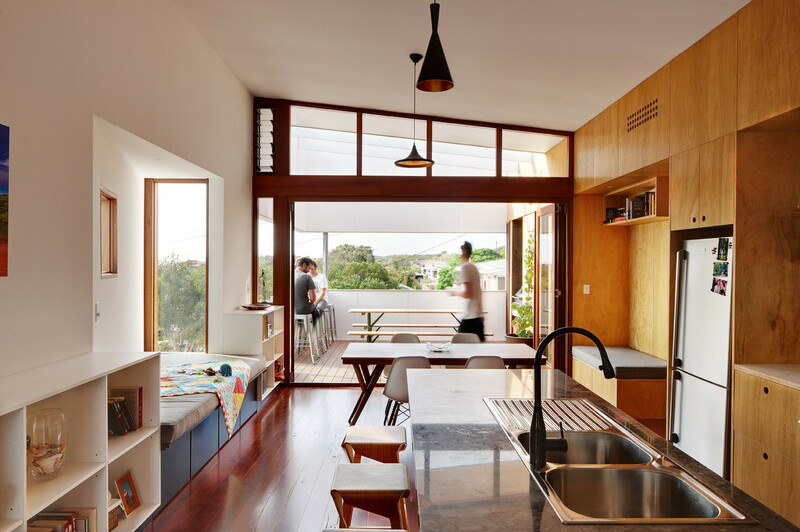 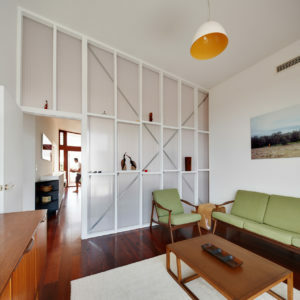 The dynamic ability of the space also cater for a growing family, a tucked away room underneath the house at the rear provides a flexible space that could be a 4th bedroom, granny flat, rumpus room, home office or backyard pavilion. 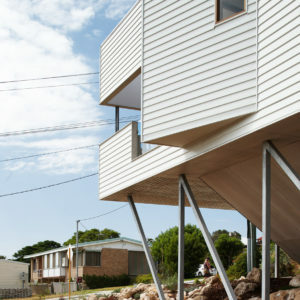 A typical Queenslander accommodates for ventilation which is supplied by the underside of the residence, where it too homes the family cars & surfing equipment. 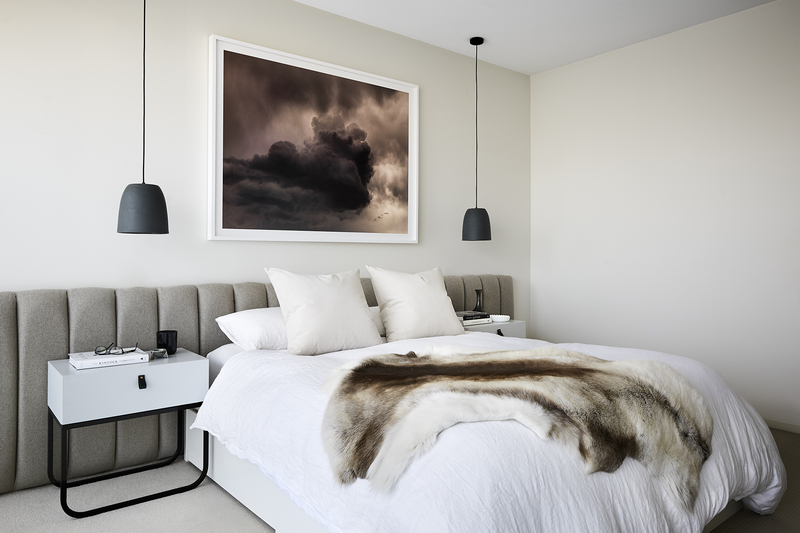 The above apartment planned living arranges the home into simple private sleeping to the east, where on the west shared family spaces are open to outdoor and indoor facilities, creating a social lifestyle and interaction with the climate of Perth. 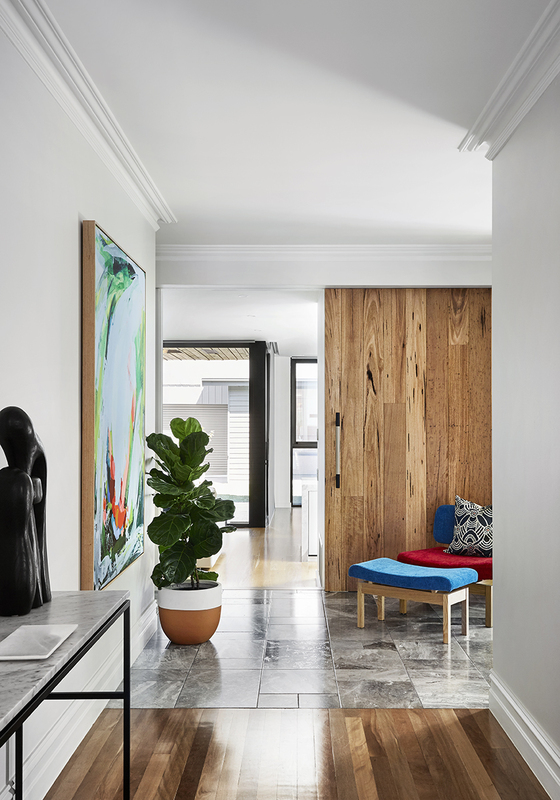 Situated in a place that is loosing it’s heritage significance due to the standard suburban developments failing to accentuate the area’s unique cultural and built traditions, the house reflects on its spatial environment by maximising on the land; by building up.